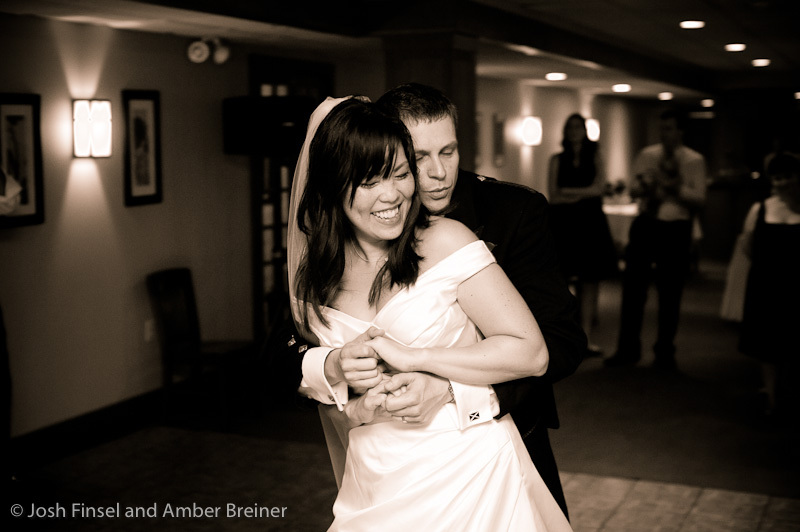 It was really fun to be a part of Marie and Andrew's wedding! As Marie remarked to me after the event, it is not often that the groomsmen and their attire make a bigger splash than the bridesmaids. 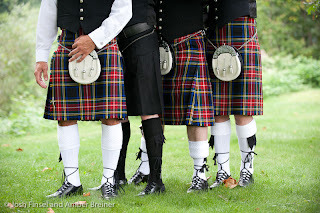 Although the entire party were a fun-loving bunch, the bridesmaids in their simple but elegant black dresses and tartan wraps were subdued by comparison. 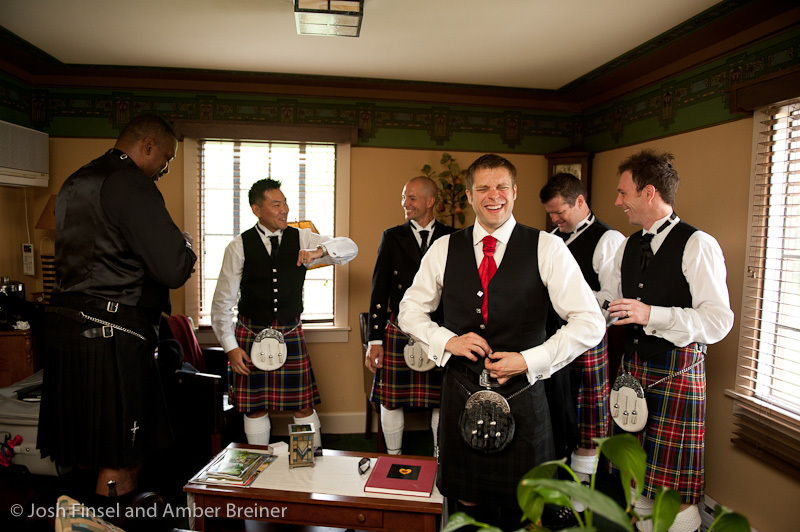 It was hilarious to eavesdrop on the boys and witness their antics as they joked about dressing in their skirts, err, I mean, kilts. 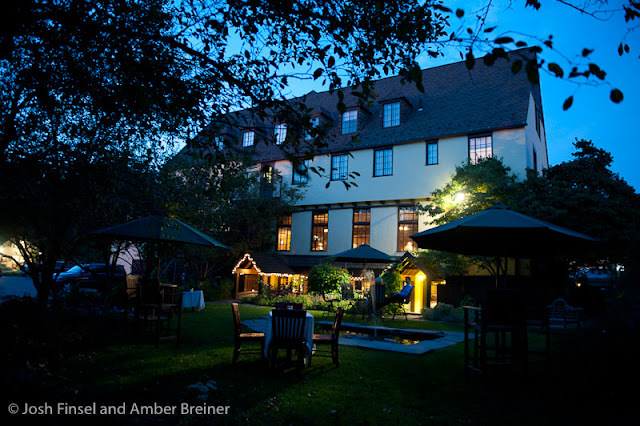 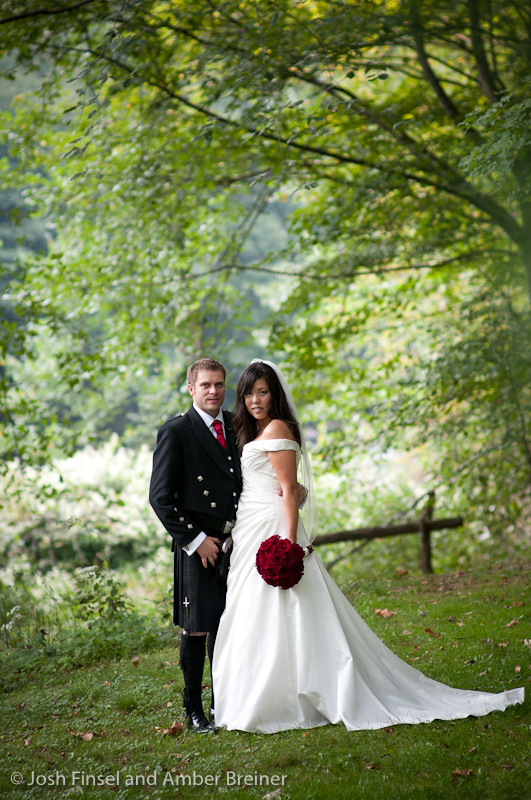 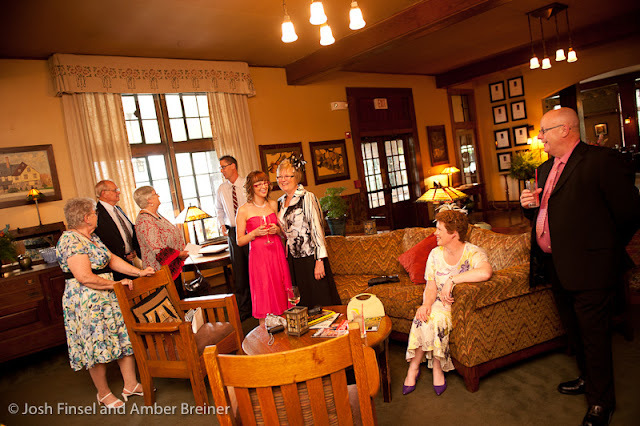 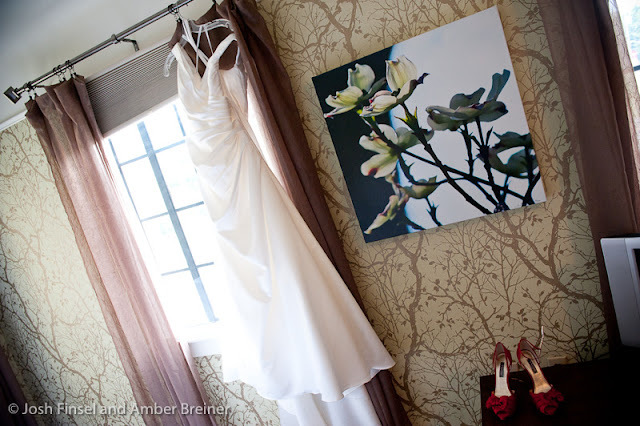 The Settler's Inn provided a perfect back drop for their day with it's intimate facilities and vaguely European style. 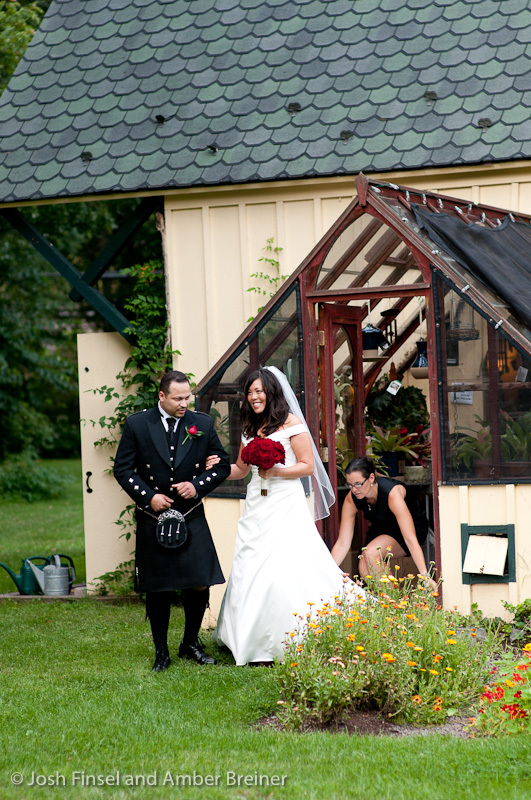 I've said it before and I'll say it again- The Settler's Inn is one of the best wedding venues in the Poconos. 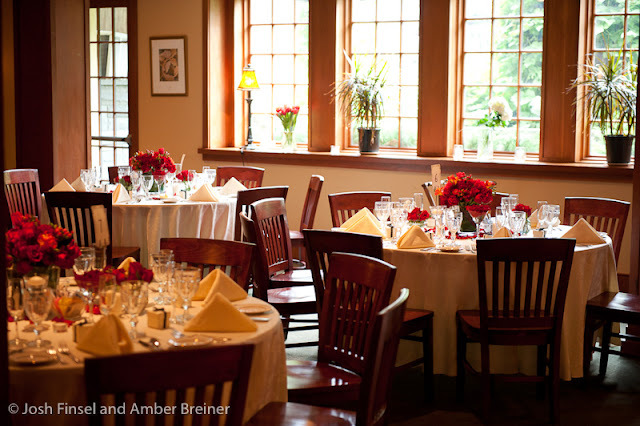 Their service is second to none and the food is not only outrageously tasty, but they favor seasonal, local and organic ingredients whenever possible. The bride's sister, who arranges flowers as a hobby, did a great job with the flowers. 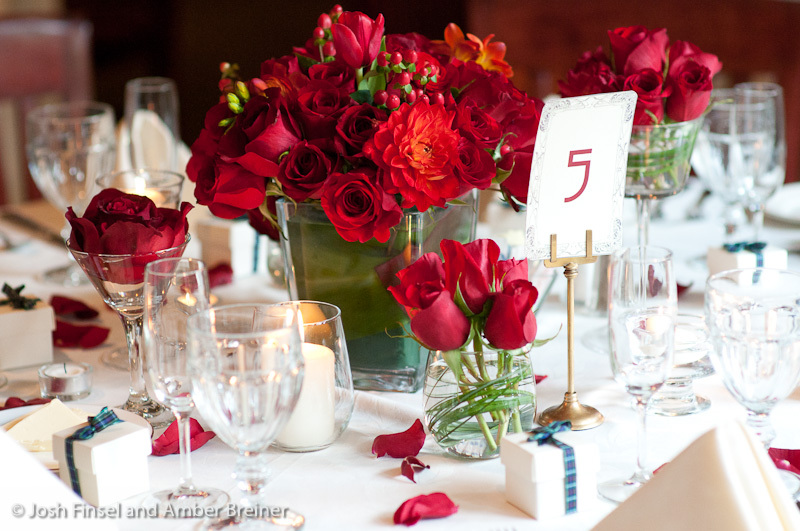 I loved her center pieces. 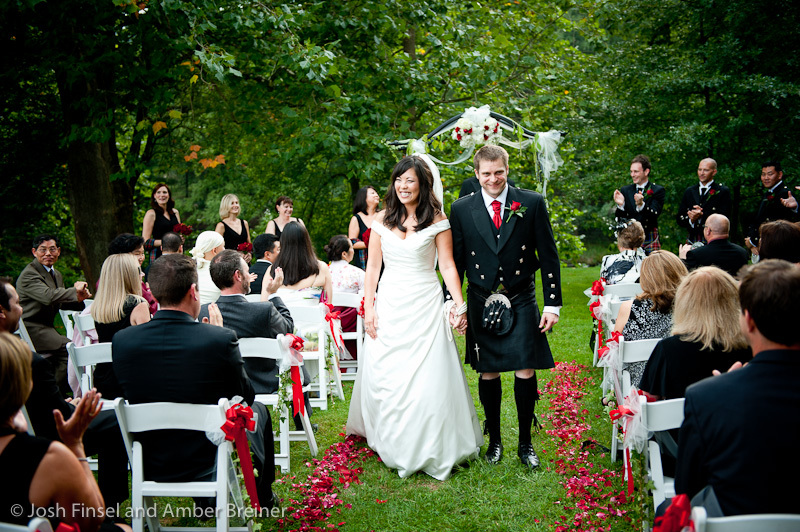 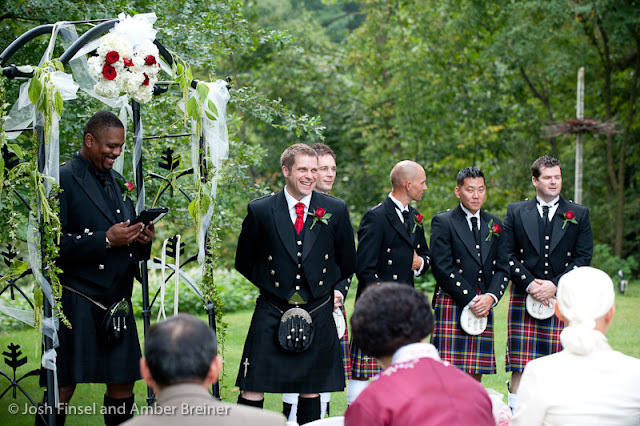 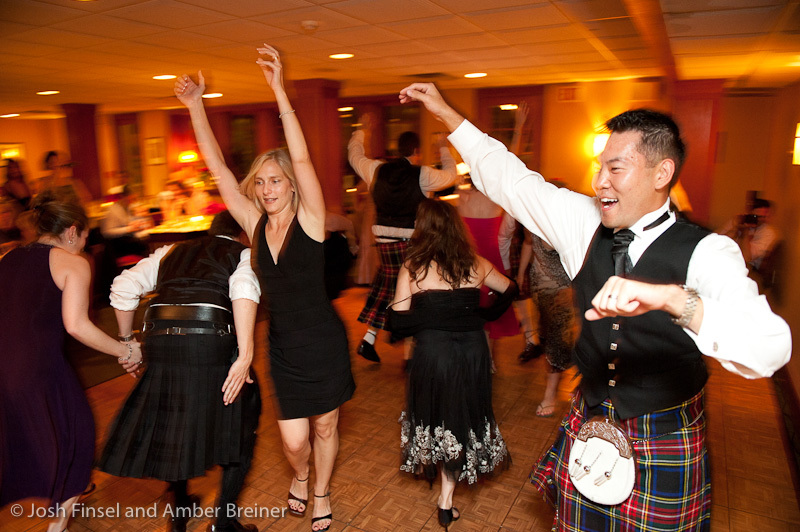 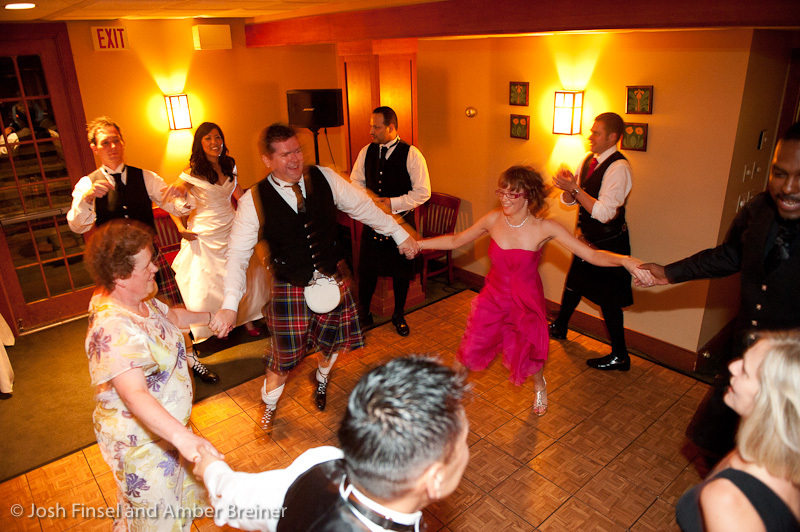 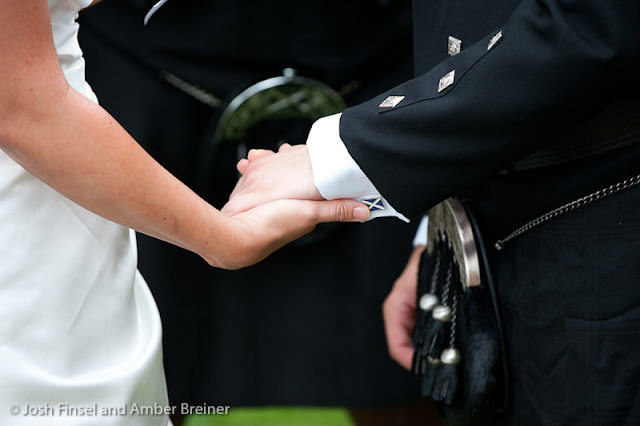 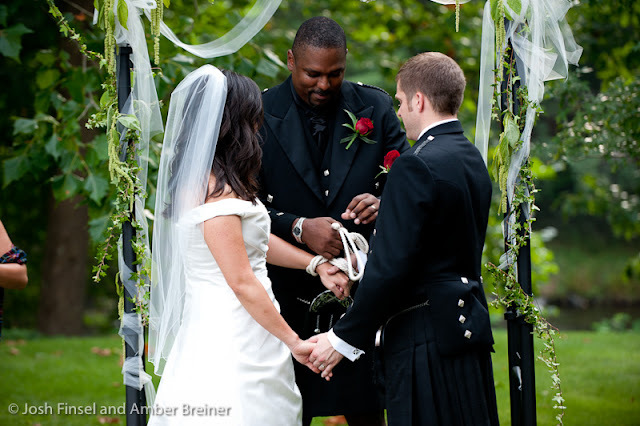 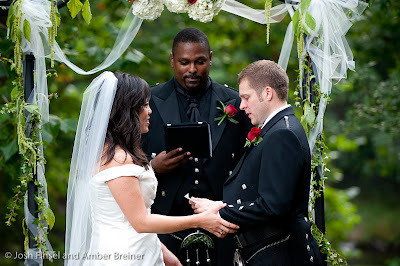 Scottish traditions were celebrated throughout including a bag piper and hand fasting as part of the ceremony and folk dancing at the reception. 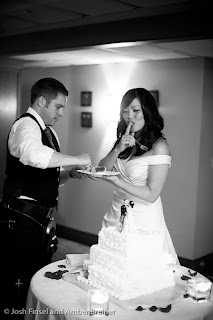 And at the cake cutting, Marie initiated Andrew into a somewhat messy American wedding tradition of which he was unaware. 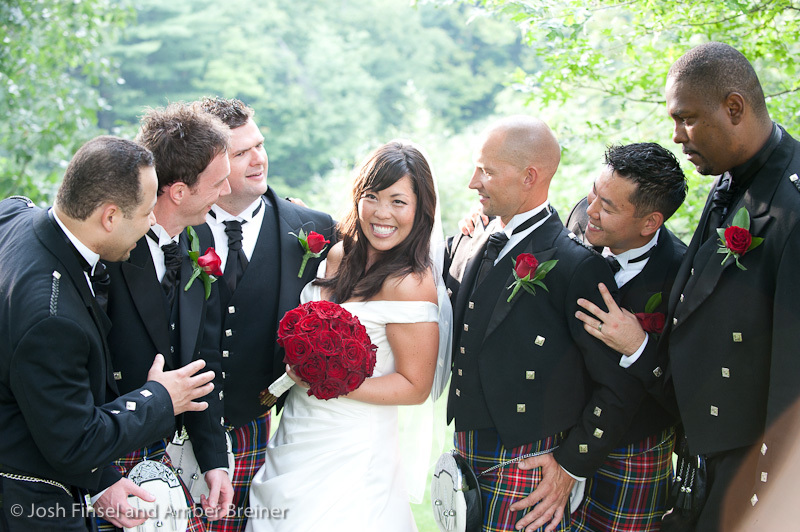 Marie is American of Korean descent and her heritage was honored by traditional gowns worn by Marie's mom and aunt. 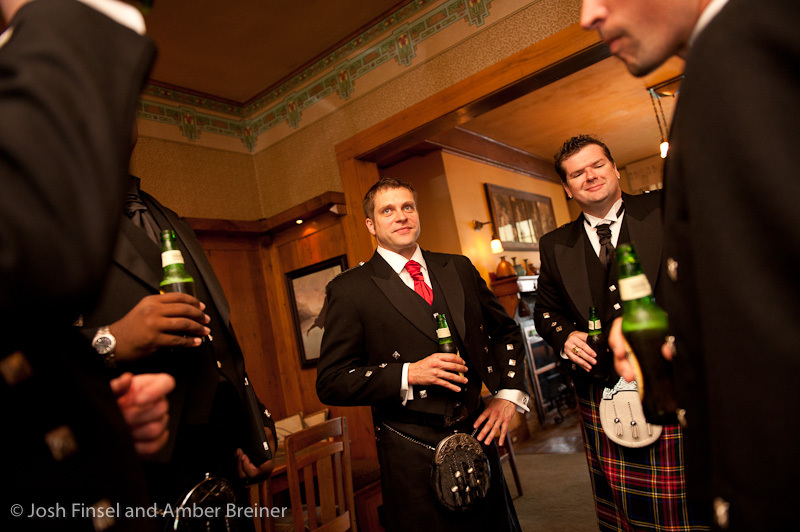 My personal favorite memories from the day: Josh and I were pleased to learn that the Scotts appreciated our local favorite, Yuengling lager. 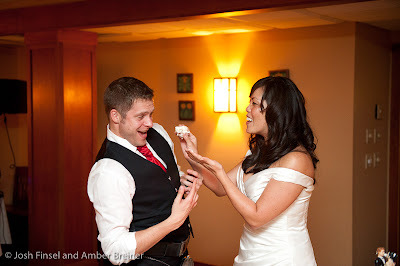 I blushed and averted my eyes when Josh took a commando shot for the boys. 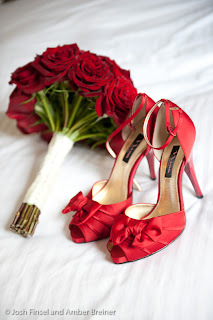 I laughed heartily when I heard the best man tell me to move my "arrrse" as I blocked up the dance floor. 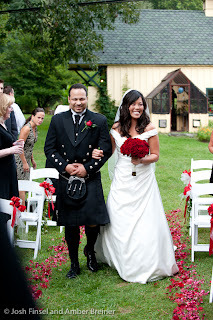 I probably shouldn't tease about his accent however, since he thought I was from Canada (thank you PA for the regional dialect). 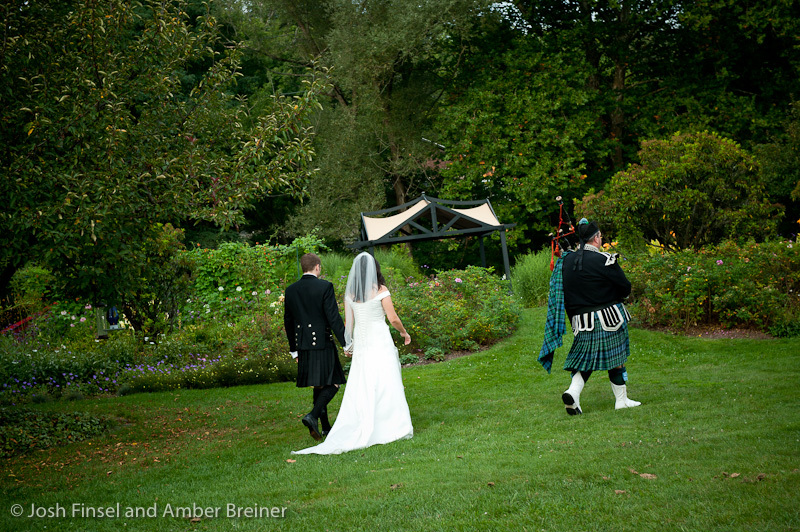 And thank you Marie and Andrew for inviting us to be a part of your day. It was truly a pleasure. We are honored and thrilled to be represented on your website. 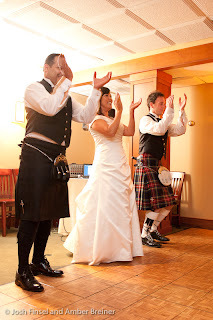 We absolutely loved having you guys at our wedding. 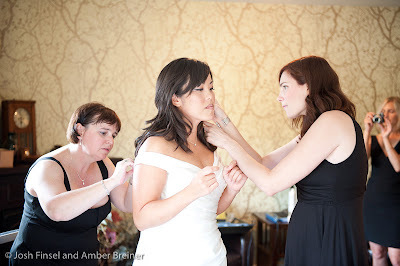 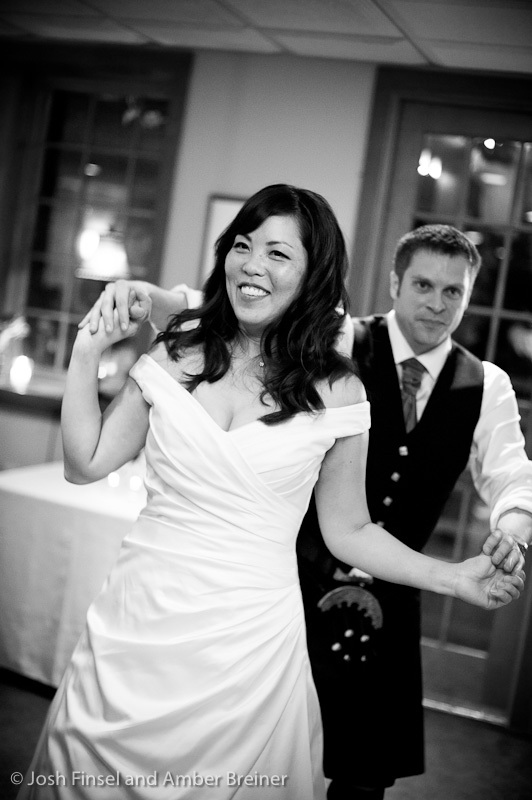 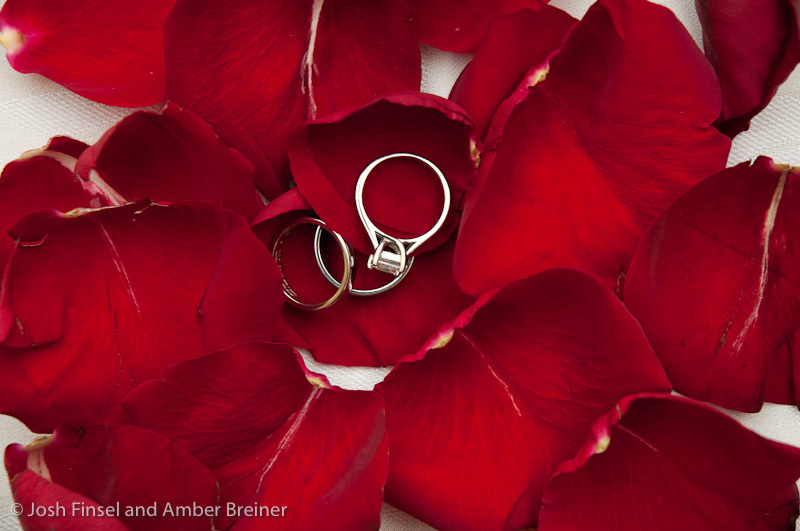 The intimacy we wanted from the small guest list was visualized perfectly by your photographs. 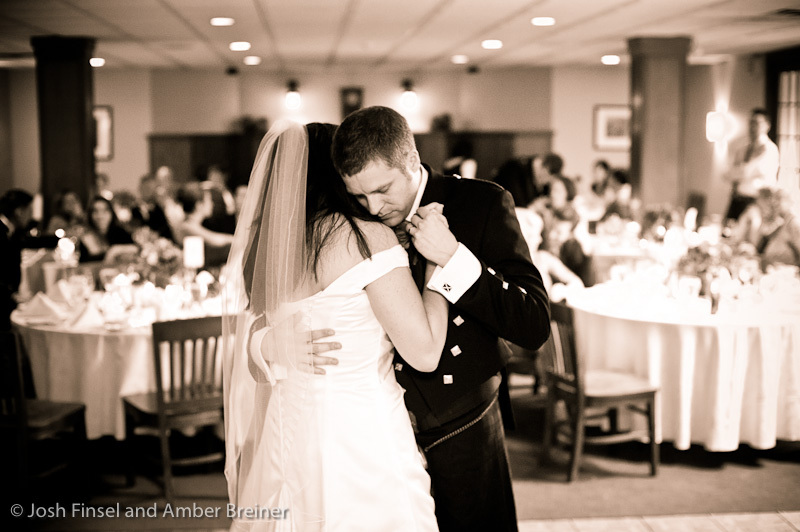 You showcased the day exactly as we remembered...full of love, warmth and laughter. 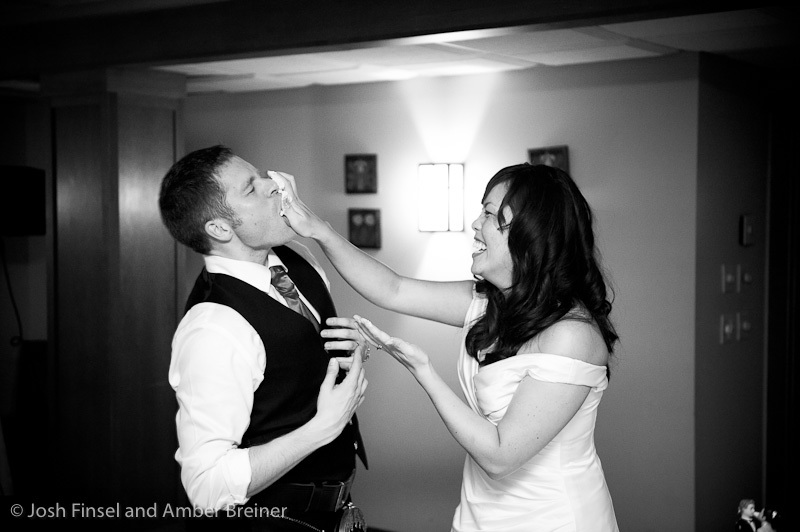 We truly feel the day could only be reflected by a loving couple who completely understand and compliment each other enough to capture photographs with such affection. 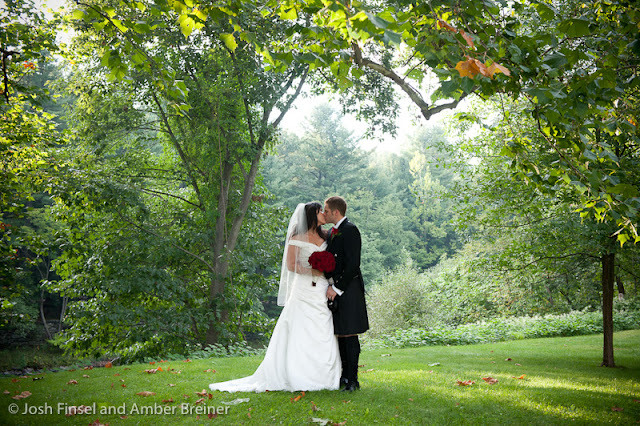 Thank you so much for giving us the perfect memories to our fairytale wedding. Great job. 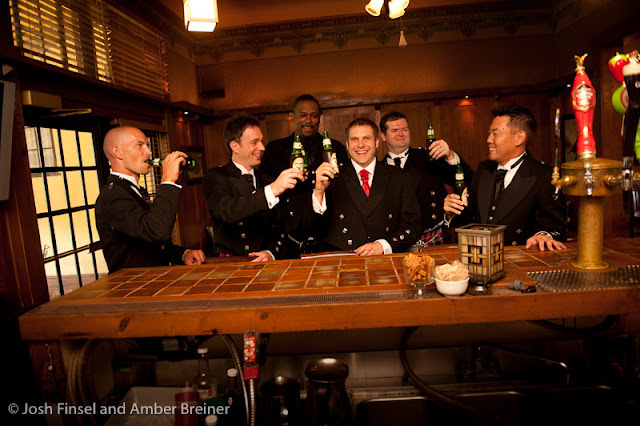 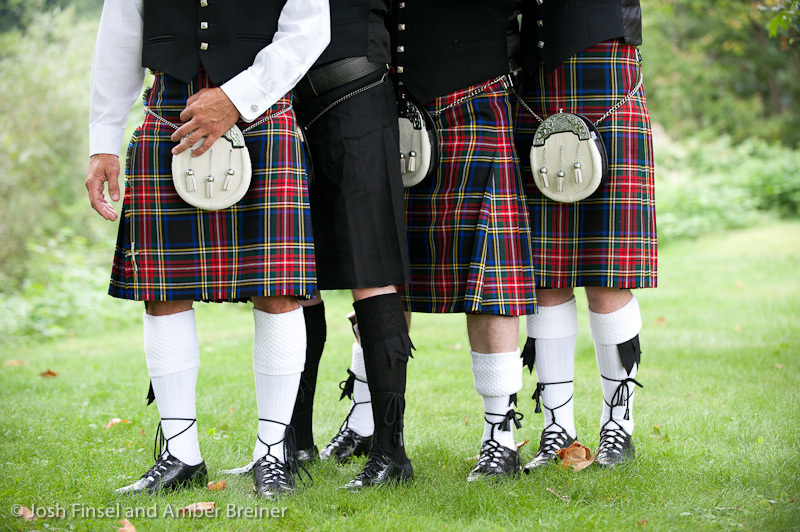 It is tough to have a bad time photographing men in kilts, I've noticed!